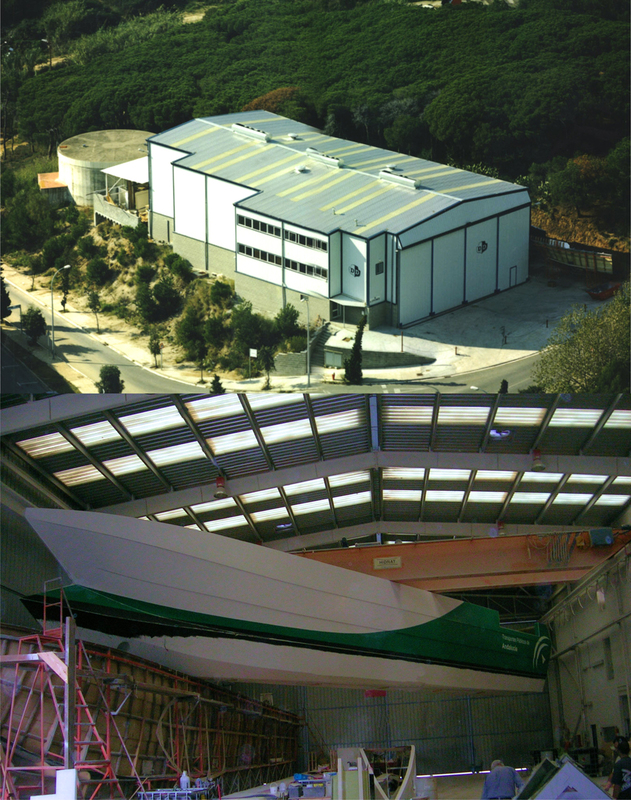 DALMAU SHIPYARD currently has two modern productive industrial buildings in Arenys de Mar (Barcelona) with a total of 3000m2, one of 1000m2 in the industrial zone and an other of 2000m2 in the port area. It also has an independent molds storage area of 4000m2. This building, with a surface of 1000m2 it's located on the outskirts of Arenys de Mar,near the exit of C-32 highway and NII road. This modern building, with a surface of 2000 m2 is located in the port of Arenys de Mar and is equipped with direct access to dock. It is ideal for the manufacture of boats due to its distribution, its internal equipment and its location next to the water. 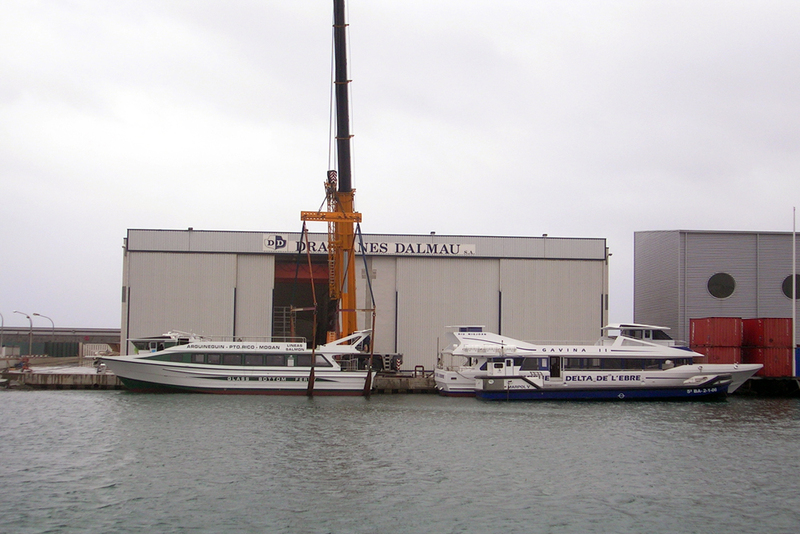 The boats can be manufactured entirely in the interior of the industrial building, when completed are removed to the dock of the industrial building and from where is the launching with a high tonage crane. 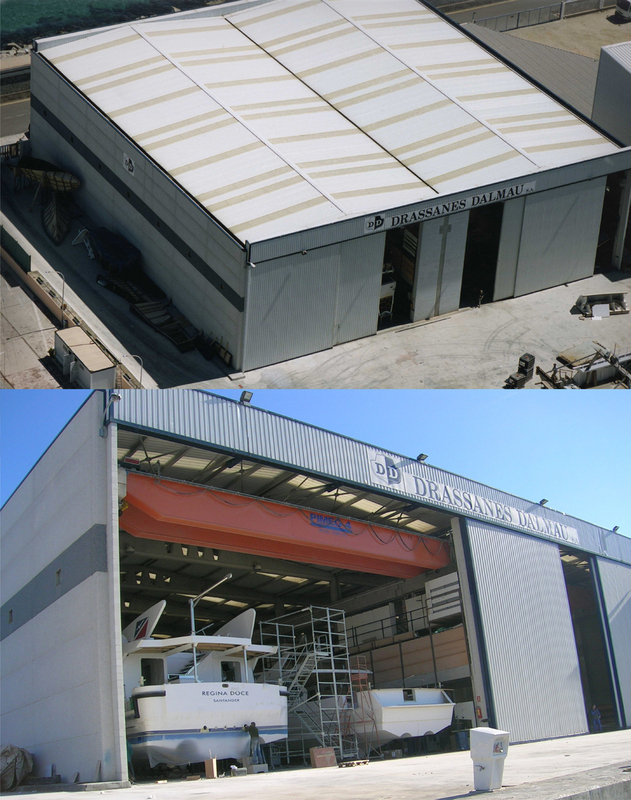 This workshop has capacity to build boats up to 50m length. It's used for the assembly of boats and the manufacturing of most of its parts. This industrial building has two diaphanous productive areas of 800m2 each one, four ponts double bridges crane of 32Tm each one, four sliding doors of 12x20m size, carpentry workshop, electricians workshop, mechanical workshop, changing rooms, centralized air compressor, 30m tunnel heated lamination, different materials storage areas separate and independent,...), dock with capacity for the stranded boats up to 50m of lenght, 12m of beam and 50m of mooring with four electricity points water and compressed air. Both buildings meet all safety standards, with a special focus on fire protection.